Jackson Lee spoke alongside the man’s wife, Rose Escobar, in downtown Houston today. Rose Escobar, wife of Jose Escobar, speaks to reporters at the Mickey LeLand Federal Building in Houston, TX on Friday. She spoke alongside the man’s wife, Rose Escobar, in downtown Houston today. 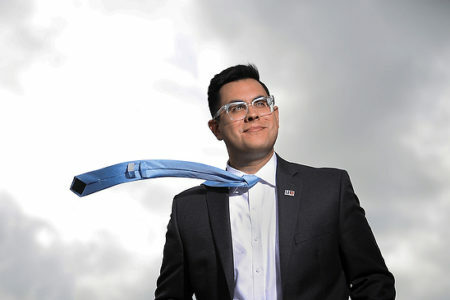 Jose Escobar came to the U.S. from El Salvador when he was 15 years old. He had legal status, but eventually lost it because of botched paperwork. 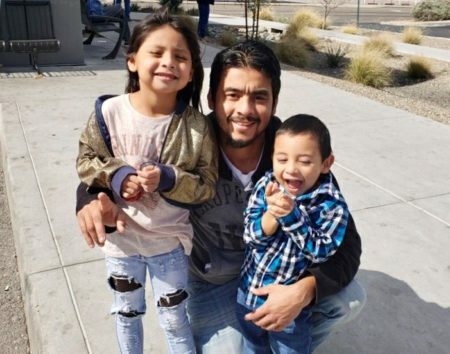 Under the Obama Administration, he was given a deportation reprieve and told to check in with immigration authorities each year. When he did that last month, he was arrested. He was deported on Thursday. 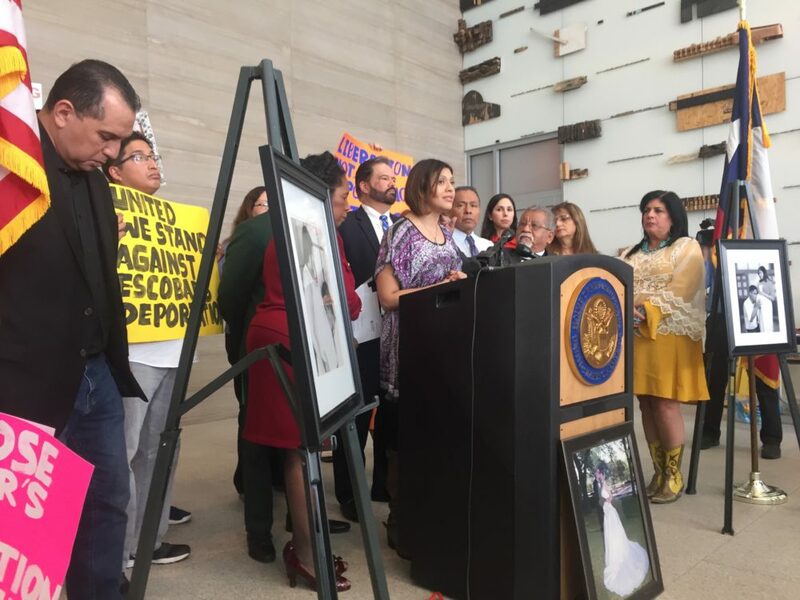 At a press conference, Rose Escobar criticized the Trump Administration’s widening of deportation priorities. “I am a U.S. citizen, and I am being hurt by my own president,” she said. 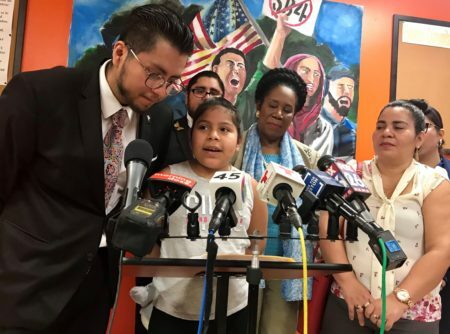 Congresswoman Jackson Lee claims she was assured this week by an immigration official in Laredo, TX – where Escobar was being held – that he would not be deported, though he ultimately was. Because of that, she’s asked Homeland Security Secretary John Kelly to re-open the case, saying she believes Escobar is still eligible to be in the country. “An aggressive approach to deportation – that is what victimized Mr. Escobar,” she said. The administration’s approach to deportations has Jackson Lee and others worried that non-violent undocumented people – like Escobar – will be increasingly targeted by immigration authorities. EDITOR’S NOTE: An earlier version of this story stated that Jose Escobar came to the U.S. from El Salvador when he was 14 years old. He was in fact 15 years old at the time.